As society shifts into the digital age, a lot of paper books are being left behind. 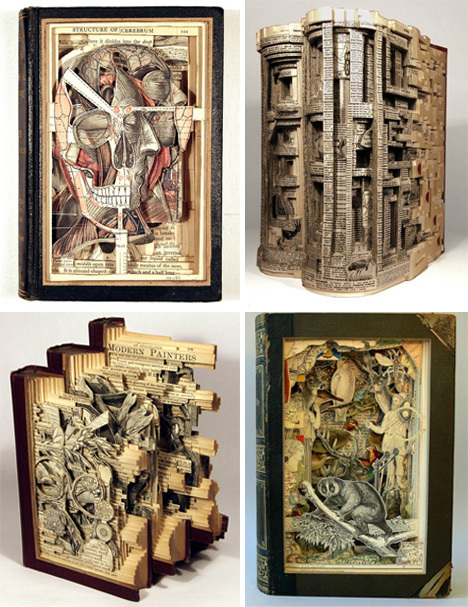 Some courageous and green artists are fighting the tide by bringing these books back into their own as gorgeous works of art. 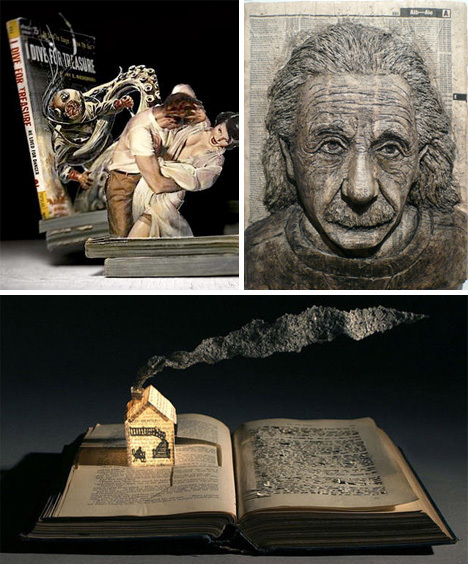 Thomas Allen uses careful book selection and a knife to create stunning photography setups that break out from the page. This is how an artist brings a story to life. 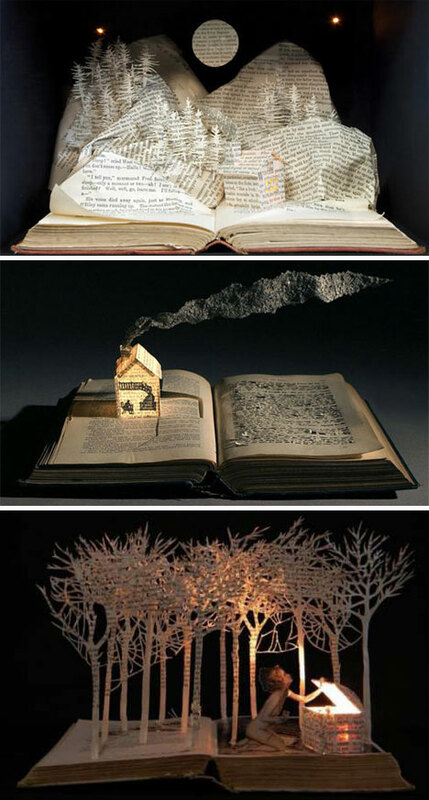 The detail is stunning – it would be amazing to have any of these on the bookshelf. 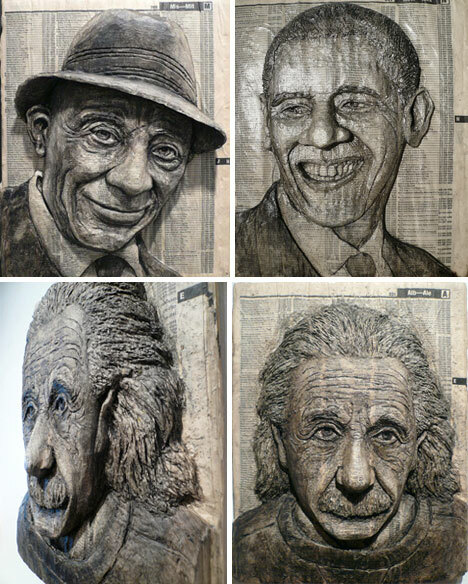 Artist Alex Queral carves into phonebooks to create incredible portraits with a literal depth to them. 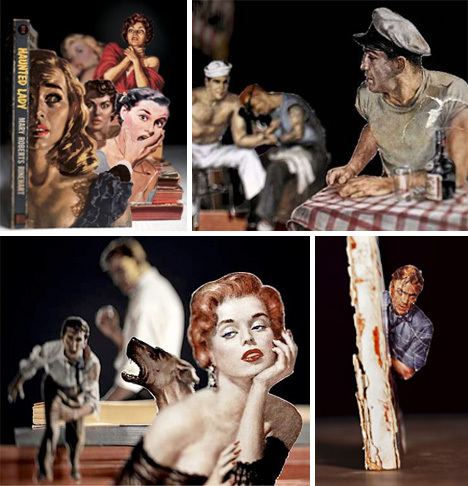 Brian Dettmer and Alexander Korzer Robinson dig deep into the pages of colorfully illustrated books and create a diorama feel encased within the covers. 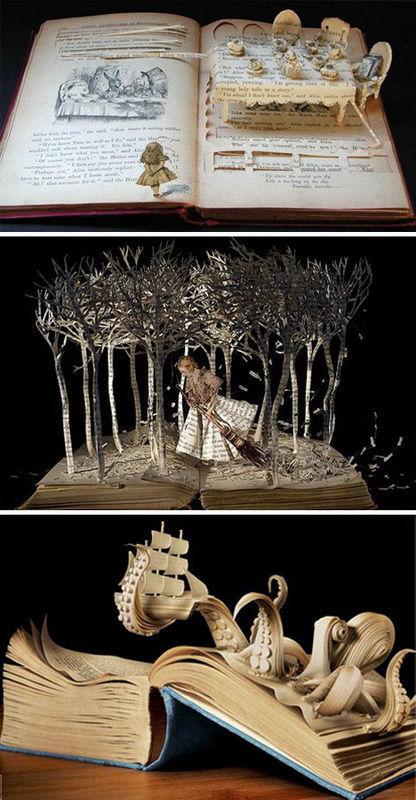 Su Blackwell likes to create entire scenes that captivate. Her use of light makes her work seem otherworldly. Guy Laramee created an amazing cave in his work featured above, while Michael Carabetta’s work literally tunnels into a story, and can be found in art exhibits. 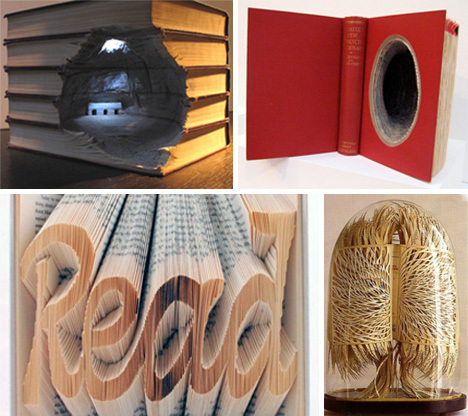 Isaac Salazar brings one word to focus in his delicate book carvings. Su Blackwell’s work is under glass, and creates an intricate design. 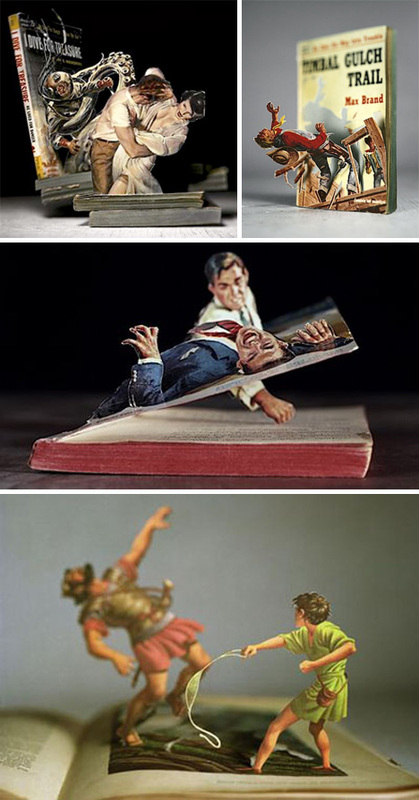 The vintage books used by photographer and artist Thomas Allen allow him to create scenes that pull the viewer in. 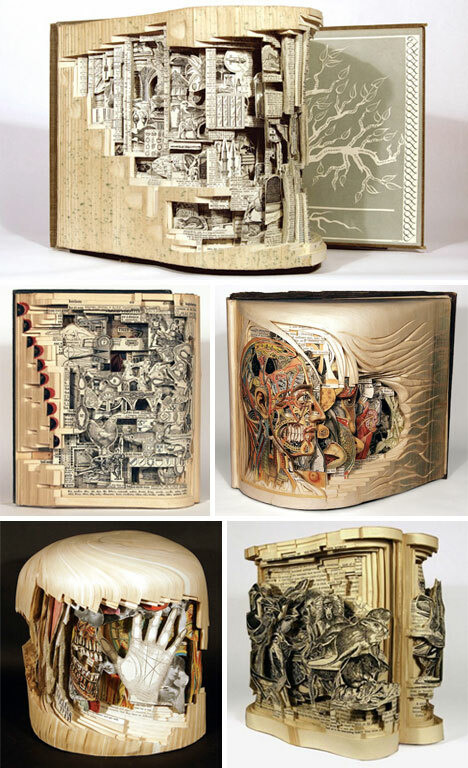 Artist Brian Dettmer is definitely one of the most prolific of the small group of book carvers who use this as their medium, and the intricacy of his work is astounding.